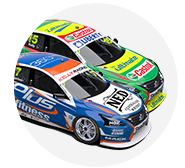 The Harvey Norman Supergirls, Simona De Silvestro and Renee Gracie, have unveiled the striking new livery they will carry into this year’s Supercheap Auto Bathurst 1000. Joining Harvey Norman for the duo’s second attempt at Australia’s Great Race is Nikon KeyMission 360, the new-to-the-market 360º action camera from the industry leading photography brand. 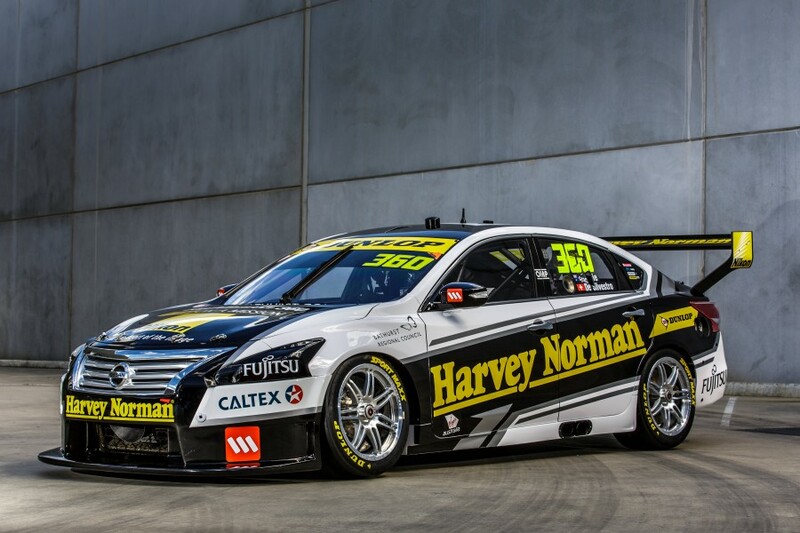 In recognition of the sponsorship, the car will sport number 360 into the race, with the number previously reaching the Bathurst podium in 2014 on the sides of the Nissan of James Moffat and Taz Douglas. Additional backing for the entry comes from Caltex, Fujitsu, Dunlop, Wilson, Bathurst Regional Council and Bremtec. For De Silvestro, the Bathurst event marks the start of the next chapter of her career, after it was recently announced that she will be racing in the Virgin Australia Supercars Championship for the next three seasons. 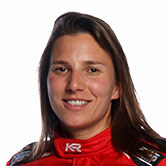 "It's great to be back in Australia,” said De Silvestro. “This time around everything feels a bit more normal knowing the tracks we are going to, and even though I am with a new team in Nissan, I'm really looking forward to getting to work with them. "My expectations are always high every time I get into a race car, and I know that Bathurst is a very challenging circuit and event. “It's also one full year since I have driven a Supercar, but I'm sure it will come back to me quite quickly. For Gracie, the leading female driver in the Supercars Dunlop Series, the challenge this year at Bathurst is to improve upon the pair’s 21st place finish from 12 months ago. "The first thing is to get comfortable in the car and focus on the end game,” said Gracie. “If we can stay on the lead lap then the ultimate result will take care of itself. “I am not underestimating it one bit but having survived last year's event in mixed conditions and still being classified as a finisher will surely be of some benefit to us during the course of Sunday. "The team are very supportive and it feels like they're really into the whole concept of what we are doing, which is great. “They've put together a very experienced group of guys and I felt really good being there… we were cracking jokes and having plenty of laughs but things will get much more serious once the engine barks into life." 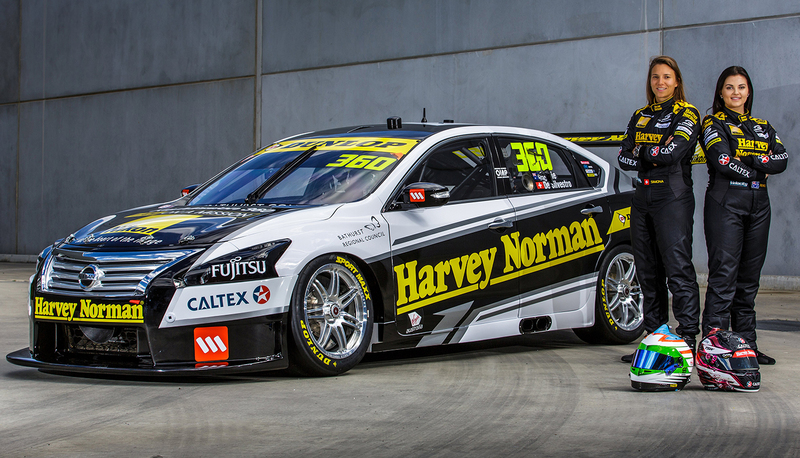 The Harvey Norman Supergirls hit the track this week to familiarise themselves with their new Nissan Altima, with a two day test scheduled for Winton Motor Raceway.